The Free Software Foundation has announced that it has established an Expert Witness Defense Fund to assist defendants in RIAA cases, in order "to help provide computer expert witnesses to combat RIAA's ongoing lawsuits, and to defend against the RIAA's attempt to redefine copyright law." 1. The sole use of the funds will be to pay fees and/or expenses of technical expert witnesses, forensic examiners, and other technical consultants assisting individuals named as defendants in non-commercial, peer-to-peer file sharing cases brought by the RIAA, EMI, SONY BMG, Vivendi Universal, and Warner Bros. Records, and their affiliated companies, such as Interscope, Arista, UMG, Fonovisa, Motown, Atlantic, Priority, and others. 2. 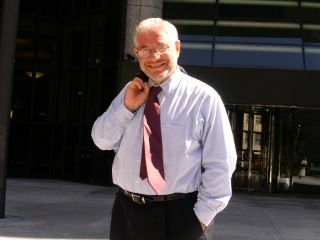 The Fund will be advised by Ray Beckerman, the author of Recording Industry vs. The People, along with a group of selected attorneys acting as advisors. These attorneys will submit payment requests to the Fund, based upon their views as to which cases are most deserving of assistance, and in what at amounts, and at what time. A. The importance of the case to critical legal issues. B. The demonstrated commitment of the defendant, and/or of the defendant's attorney if the defendant has an attorney, to seeing his or her case through to conclusion, and to fighting for important legal issues. C. The facts and circumstances of the particular case. D. The level of investment made by the defendant, and/or by the defendant's attorney if the defendant has an attorney, in time, money, and labor, in defending the case. E. The legal posture of the case. F. The need for assistance. G. The need for technical expertise in the case. H. The quality and commitment of technical expertise which may have been contributed to the case. I. The competing needs of other cases. J. And other similar factors. 4. Defendants, or attorneys representing defendants, who request funding for experts or technical consultants, should send requests by email to Ray Beckerman; the subject field of the email should read "Technical Expert Funding Request". Congratulations and kudos to Mr Beckerman and the Free Software Foundation. Excellent idea. Also, Ray, thanks for being a part of this, as well as for all that you do! Thank YOU for your generous contribution to the Marie Lindor Legal Defense Fund. We all need to put our money where our mouths are if we want anything to change regarding RIAA's "reign of terror". I'll be giving to the FSF Expert Witness Defense fund as well. I hope all of your readers will do the same. $60,000 plus in a law suit. Insanity. It wouldn't even be feasible in my mind if I had those songs and listened to them. Some Americans are nuts, and I don't believe we are created equal. That's the gist of the matter. Any affordable lawyers out there?